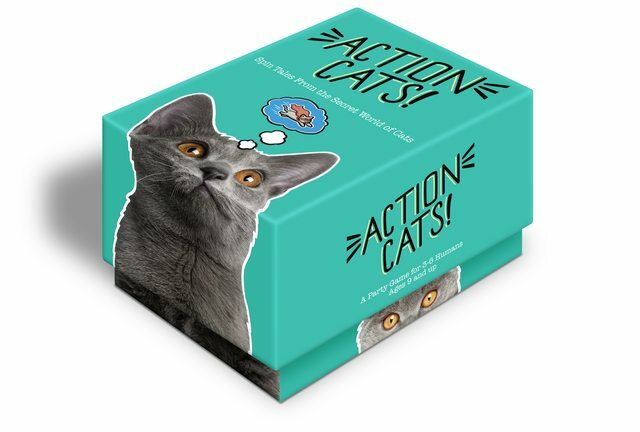 Action Cats is a story driven party game for 3-6 players currently on Kickstarter. I was sent a prototype copy to review, and I was able to play it a couple times at 5 players. Note that I have the prototype version, which has fewer cards (the game doesn’t last as long) and no box, but the gameplay should be similar.